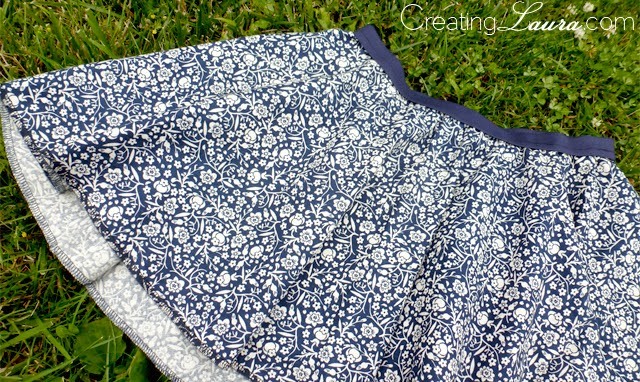 Creating Laura: Creating Laura is turning 2! Creating Laura is turning 2! Today is this little blog's 2nd birthday, and it's time to do a couple of big things in honor of the occasion! First of all, I uploaded a new header. I used to really like the polka dots, but lately I've been wanting something a bit more personal. Do you like it? Second, Creating Laura is now offering sponsorship opportunities! Yay! I want you to know, however, that I have absolutely no intention of "selling out." I'll only be accepting ads that fit in with the content and aesthetic of the blog. There will be no flashing diet ads. Ever. Seriously. If you're interested in advertising here on the blog, click on the new button in the left column that says "Click here to sponsor Creating Laura" or shoot me an email at creatinglaurablog@gmail.com. 1. My circle skirt definitely takes the cake because it was my first-ever sewing project and because it ended up being a garment that I want to wear all the time. 2. This robot stamp art is high on the list because I came up with the idea on a whim and I had no idea how much I would like the final result. It's something that I want to hang in all my future houses forever. 3. My favorite knitting project that I completed this year is the collection of hair bows that I made for all the ladies in my cast this summer. It made me so happy to see the girls wearing them around backstage. 4. I also loved my sticky note calendar project because it was fun to make and even more fun to use as time went on. When I left Ohio and came back to Colorado, I re-made the calendar on my wall here because I simply couldn't go without it anymore. 5. 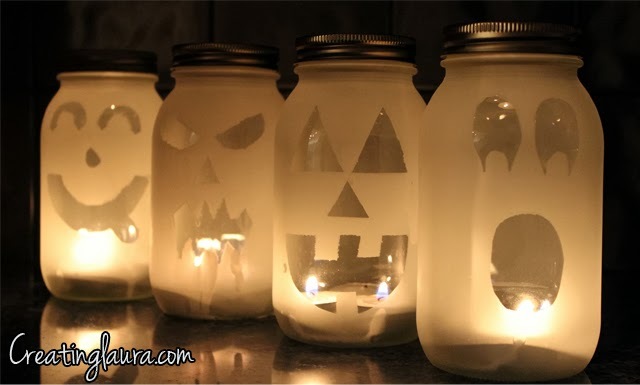 And last, but certainly not least, are the mason jar Jack-O'-Lanterns that I created for Halloween last year. Spray paint is so fun. Last year was great, and I can't wait to see what the new year has in store. I have so many ideas for upcoming projects; I'm really excited about the future! Thank you so much for reading my blog and participating in the journey! The header is great!!!!! Happy Blog Birthday!!!!! Happy 2nd blog birthday! The new header looks fabulous. Loved seeing your project recap... that robot stamp art is adorable! Hi Laura! 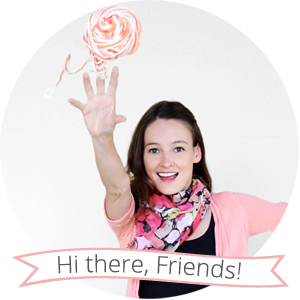 What a great blog - and love the fact that you're a figure skating crafster. Awesome. Happy blog-iversary and ah-mazing header! Thanks! I love being a figure skating craftster too. I love it a lot! Happy birthday Laura's blog! I'm in love with your robots! Your blog is so lovely! Following you now! 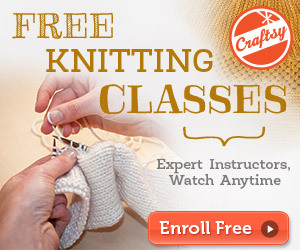 Nope, I don't knit continental style, but I can see how you got that idea from the picture. =) I'd love to see a picture of your big wall calendar once it's finished! I hope it's not too late to wish a very Happy Blog Birthday! Yes, cute new header! Love the new profile picture even more, with you throwing that yarn, it looks like a pretty rose. :)) Wishing you many more blog birthdays to come! Thanks! That yarn-throwing photo shoot was really funny in real life. your new header is super cute ! Yay! Congratulations on 2 years! Here's to many more. I love your new header! Happy blog birthday! Love the header! Happy blogiversary Laura! I love your new header :) Yesterday appeared to be the day for changing things up on blogs...I did and so did another blog I follow! 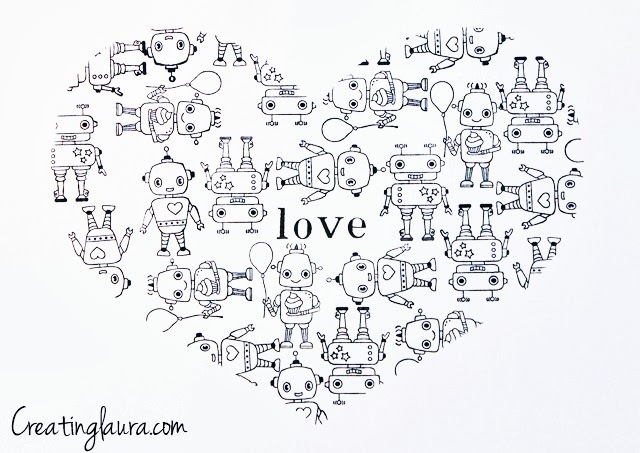 Love your robot print, I missed that first time round so thanks for reposting it! I guess great minds think alike! I like your new header too! Congratulations and happy birthday! The new header looks great. I love the new header :) Happy blogiversary! Very nice update! Inspiring, I've got to get back to writing on my site again. All work and no play these days! Keep up the good work and happy blogiversary! congrats on the two year! i love those bows, i would wear one in a heartbeat! Happy blog birthday! 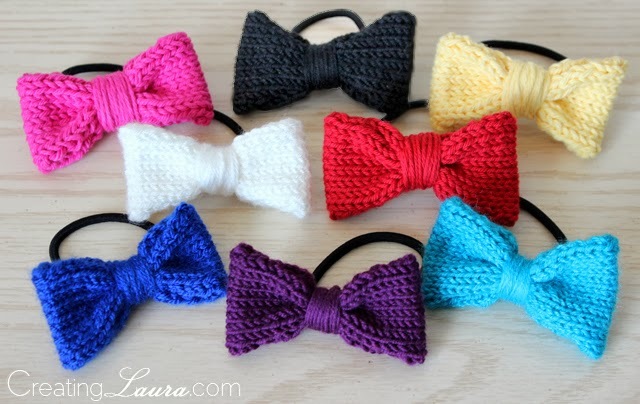 Those knit hair bows are too darn cute! 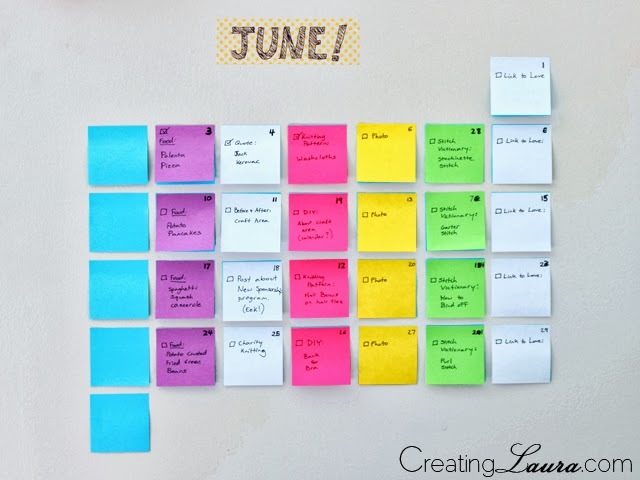 Love that circle skirt such a cute fabric and definitely love your sticky note calendar idea, I may need to try that!